Here are some pictures of the early stages of our cluster experiment testbed, dubbed BeastBaby. Although it is very difficult to photograph, these pictures do illustrate the basic idea. 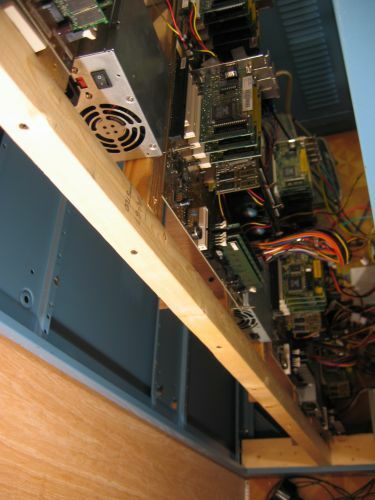 Eight slog A AthlonII motherboards are mounted vertically inside a 24" deep rack cabinet. This obviously took way more time to setup than just simply finding 8 cases, but this conserves shelf and floor space in the lab which makes it worth it. 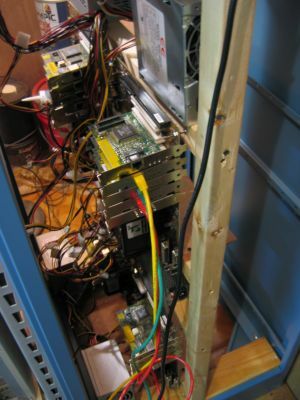 The plan from this point includes covering the front and back with removable plexiglass, placing exit heat fans on the top, and running a 4" flexible air duct directly from the lab's air handler down to the bottom of the cabinet. This should turn out to be a much more efficient for cooling than using individual cases. Of course far more computing power can already be found in servers costing just a few thousand dollars, but the idea here is not to build a production compute cluster. 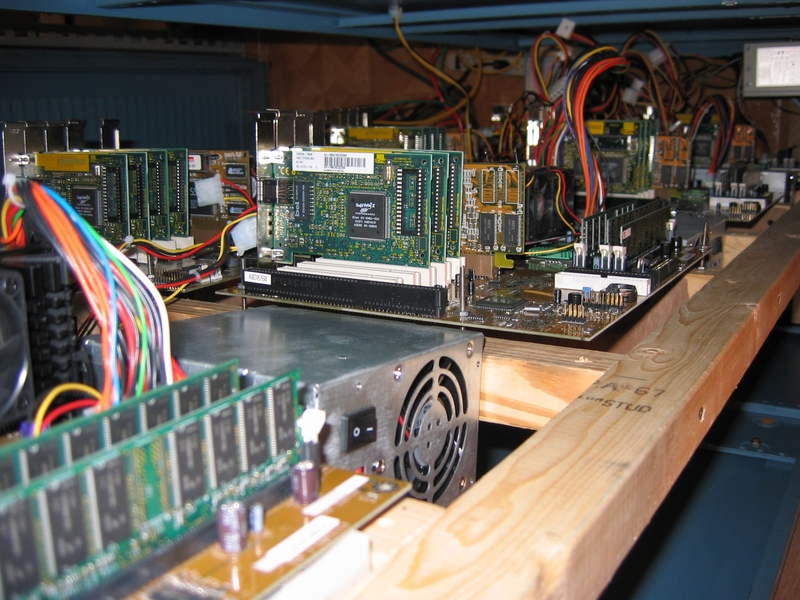 The goal is to facilitate experiments with cluster aware servers, file systems, programing libraries and techniques, as well as conduct various elaborate networking exercises.